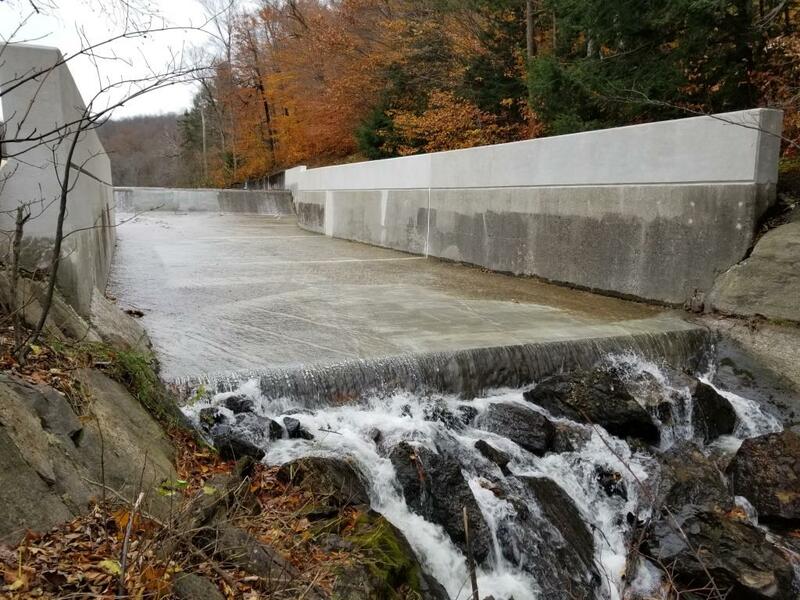 Upper Sackett Reservoir Dam Rehabilitation - J.H. Maxymillian, Inc.
Maxymillian was contracted by the City of Pittsfield to rehabilitate the Upper Sackett Reservoir Dam and gatehouse in Hinsdale, MA. The Upper Sackett Reservoir is a drinking water supply for the City of Pittsfield, which Maxymillian carefully protected to allow the reservoir to remain on-line during the majority of the construction period. 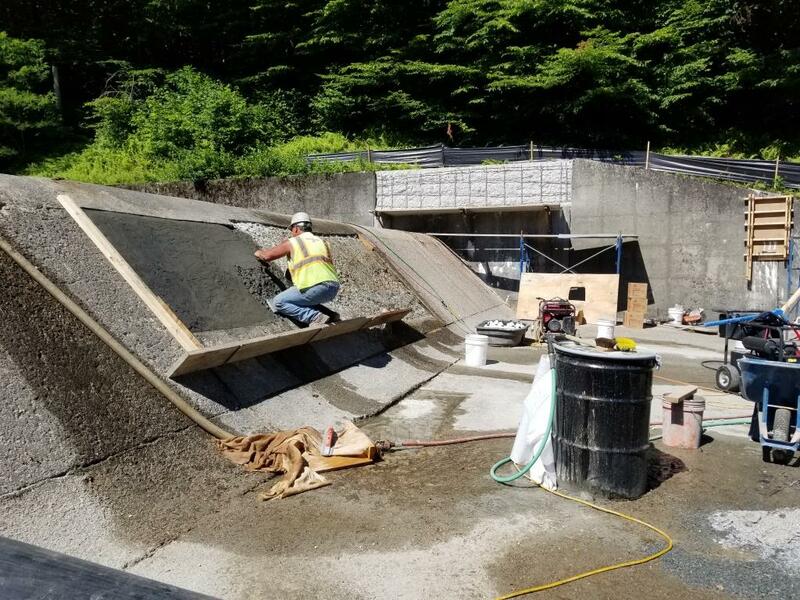 Maxymillian rehabilitated approximately 1,258 square feet of spillway, including shallow and full depth repair to horizontal and vertical walls and the dam face, and raising approximately 140 linear feet of the concrete spillway walls by three feet. To offset wetlands disturbance at the dam, Maxymillian created a new wetlands area in Pittsfield’s Kirvin Park.